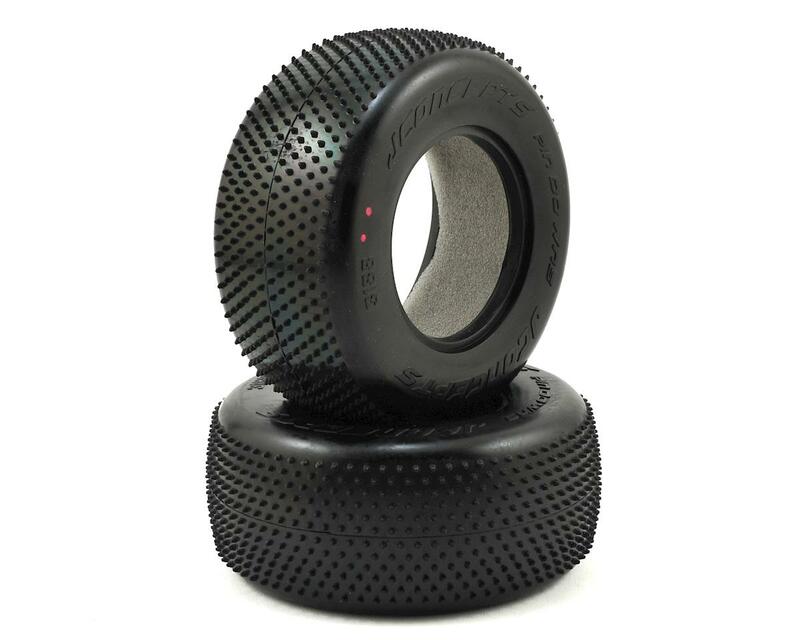 JConcepts Pin Downs Carpet Short Course Tires feature a pin spiked tread, which is directional for added performance and stability. The directional nature of the pins were positioned to allow broken-in type pins to grip the surface in one direction, while the pins are more upright when oriented in the opposite direction. The bottoms of the pins have heavy radiuses which allow the pins to wear more consistently and not tear or rip off the carcass prematurely. 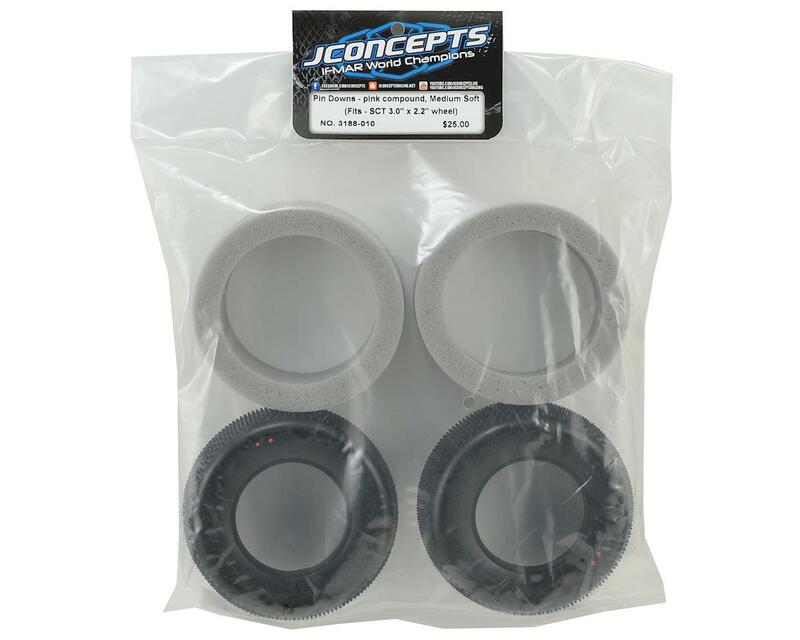 The tires are designed for the industry standard SCT wheels, available from JConcepts (JCO3344 - AE; JCO3352 - TLR).